• There was a flurry of excitement (rather than the expected snow flurries) in Fargo, ND, when the Entertainment Tonight crew arrived to film behind-the-scenes action of the late-November launch of Fargo-based Kototama Publishing’s Beautiful Women of North Dakota, a book and photo exhibit that features 22 “ordinary” women. As Kototama’s Web site points out, “One of them might be your grandmother volunteering at the nursing home. Another might be a neighbor who joined the armed forces to serve her country, or a friend whose art brings beauty to our world. Each of these women are making a difference in the world in their own way. These women aren’t seeking recognition. We want to change that. Our dream is to see these remarkable women in the spotlight sharing their wisdom and inspiring our generation.” To share everyone’s fun in preparing for the spotlight, check the video at beautifulwomenof.com. • Carol Fenster of Savory Palate in Centennial, CO, is one of the other IBPA members getting attention from major media. She’s scheduled to tape three seven-minute programs on gluten-free cooking that will air on the PBS series Creative Living during the 2010–2011 season. And she’s doing more on the road and on television screens to promote her book Gluten-Free 101. This spring, she’ll be going to a Portland, OR, suburb to teach a gluten-free baking class for the cooking school at manufacturer Bob’s Red Mill and discussing gluten-free baking in Montreal at the annual conference of the Canadian Dietetic Conference. Last fall she was quoted in a USA Today special section, “Celiac Disease: Your Guide to Living Gluten-Free,” and she keynoted the 22nd Annual Celiac Conference at Nationwide Children’s Hospital in Columbus, OH. Other late 2009 appearances included a baking demonstration at the American Dietetic Association in Denver. She posts about her travels near and far on her blog, Eat Free. Live Free. G Free. at gfreecuisine.com/blog. • The official publication of the Academy of Television Arts and Sciences, Emmy, is running an excerpt of Fine on Acting: A Vision of the Craft, written by Howard Fine with Chris Freeman. Published by Havenhurst Books last fall, the book was also excerpted in four issues of Back Stage, an actors’ magazine, last year. Fine’s students included Brad Pitt, Will Smith, and Salma Hayek. • Children of color was the topic in December when NPR’s All Things Considered invited writer Sandy Lynne Holman to join a panel discussing the new Disney movie The Princess and the Frog and how this fairy tale affects children of color. Holman is director of the Davis, CA, Culture Co-op and author of Grandpa, Is Everything Black Bad? To hear the show, check the archives for All Things Considered Weekend Edition (Saturday) at npr.org. • It’s awards season again, and as you receive your plaques and medals for 2009 programs and determine which programs to enter in 2010, we’d like to know how you use your awards in marketing. Do you send announcements to bookstores? Throw celebratory parties in the author’s hometown libraries? E-mail everyone in your database? 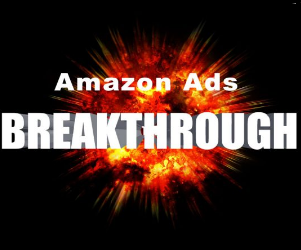 What awards have proven to be important in your market niche? Future Members in the Spotlight columns will describe how award-winning publishers have leveraged recognition into sales or publicity. 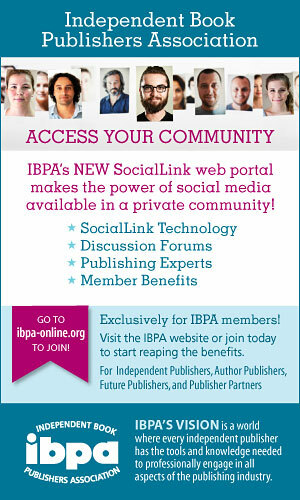 Send your comments to Linda Carlson at linda@ibpa-online.org. The Mystery Writers of America have announced that Barbara Peters and Robert Rosenwald of Poisoned Pen Press will receive the 2010 Ellery Queen award—given to editors or publishers who have distinguished themselves by their support of the genre—at the Edgar Awards banquet in New York City in April. New York City–based Calliope Press celebrated late in 2009 when authors Kay Williams and her sister Jerri Williams Lawrence received an Ohioana Library Award for the novel their father left for them to finish. Mardo Williams worked on One Last Dance: It’s Never Too Late to Fall in Love for three years prior to his death at 95. Radio personality and author Armin Brott presented a Seal of Approval to a new title by the Santa Monica, CA–based Live Consciously Publishing, Your Legacy of Love: Realize the Gift in Goodbye by Gemini Adams. Another California member, Whim Publishing of Rancho Santa Margarita, received a Seal of Approval in the Creative Child Magazine awards program children’s book category for Randy Kazandy, Where Are Your Glasses by Rhonda Fischer. Gold recipients in the National Parenting Publications Awards include Horrid Henry by Francesca Simon, illustrated by Tony Ross and published by Sourcebooks; I, Q: Independence Hall by Roland Smith, published by Sleeping Bear Press; and Savvy by Ingrid Law, from Walden Media/Dial Books. • Speaking of sales (we usually are, aren’t we? 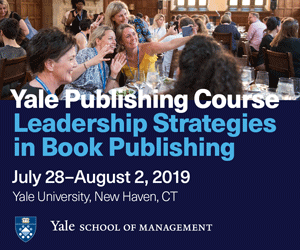 ), the bookseller newsletter Shelf Awareness attracted two comments in recent months about how booksellers need to ask publishers for help with sales promotion and publicity and about the many ways publishers and their authors can provide this assistance. Patricia Wood, whose book Lottery was shortlisted for the 2008 Orange Prize, told Shelf Awareness editors, “Figuring out ways to get people in a store works both ways. Authors need to go out of their way to help booksellers survive and not just by doing self-serving signings.” The examples she cited, things she is doing for her local bookstore in Hawaii, include giving talks on the publication process and on how to get kids to read. “I also volunteered to talk at a book fair that high school students are holding there,” she added. Any store visit, any speech in schools, any book fair appearance is a reason to issue a press release, a Twitter announcement, a “news flash” on your Home page, on the author’s blog, and on both of your Facebook pages. Not one of these costs more than a few minutes—nor does an e-mail announcement to your database and to the author’s friends on Classmates.com. 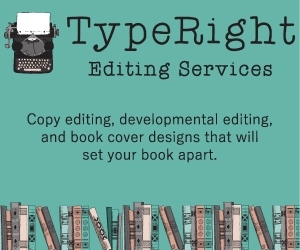 If you have a few dollars to spend, run off some simple postcard invitations on your office copy machine and send them to everyone you know in the area where the author will be speaking. • Are you interested in joining other IBPA members in a group ad in such national newspapers as The Wall Street Journal, USA Today, and the New York Times Book Review? 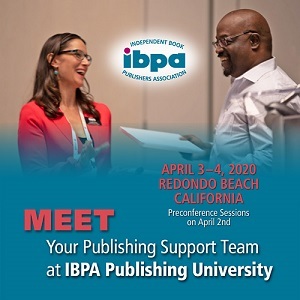 Glori Griffith, assistant to the president at Aquila Polonica Publishing in Los Angeles, suggests a program similar to what currently exists for IBPA members in major publishing trade journals. For more information, contact Griffith Directory at Aquila Polonica Publishing, 10850 Wilshire Blvd., Suite 300, Los Angeles, CA 90024; 310/470-0770; glori@aquilapolonica.com. • Trafalgar Square Books managing director Martha Cook asks if other members have experience with PDF copy-safe encoders such as ArtistScope’s CopySafe PDF. Contact Cook at 802/457-1911; mcook@sover.net. 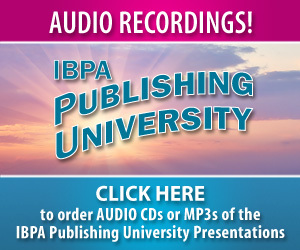 Linda Carlson (linda@ibpa-online.org) welcomes news about innovative or cost-effective publishing and marketing strategies, national media appearances by your authors or yourself, movie and television options and deals, and tips for other member publishers. Remember that material should be submitted by February 15 to be considered for the April issue. This column cannot accommodate announcements by or about nonmembers.